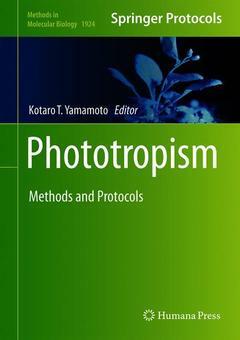 This book aims to promote studies on the entire spectrum of phototropic phenomena in higher and lower plants and fungi. Chapters detail phototropism in many plant species induced by far-red, red, blue and UV lights. They also include methods for auxin biology and analysis of cytoskeleton and phototropin. In addition, the use of grafting, spaceflight experiment and image analysis in tropism study is provided. Written in the highly successful Methods in Molecular Biology series format, chapters include introductions to their respective topics, lists of the necessary materials and reagents, step-by-step, readily reproducible laboratory protocols, and tips on troubleshooting and avoiding known pitfalls. Authoritative and cutting-edge, Phototropism: Methods and Protocols aims to ensure successful results in the further study of this vital field.